The best way to experience this stunning continent is on the ground, travelling through little dorpies (Afrikaans slang for a tiny town), tasting magwenya (a traditional African snack which is a cross between a bread and doughnut) from the street or feasting your eyes on the stunning landscape around you. South Africa is fortunate enough to have some of the best natural scenery in the world. The diverse culture and delicious variety of local food just add to South Africa’s charm. The country is also so versatile that a traveller can enjoy different holiday experiences in just one road trip. For example, a road trip through the Western Cape of South Africa will keep any travel adventurer satisfied. You can take a drive through breathtaking fields of flowers along the Garden Route and visit local beaches. In the same trip, you can explore quaint towns, shop for local craft and eat a variety of delicious cuisine. If you are an adventure seeker and have the stomach for it you can stop at Bloukrans Bridge for a bungee experience of a lifetime or go white water rafting along the route. South Africa has so much to offer if you are travelling by road, it’s hard to actually choose which route to take. Perhaps you are interested in adventure travel and want to experience Africa overland to truly feel the vibe of the continent. Maybe you want a little bit of adventure with some modern comforts thrown in and you’re not sure how to get both. To make it easier for you, here’s a list of the best road trips to experience in and around the country. It’s a cliché but Cape Town truly is South Africa’s crown jewel. It’s hard to even describe, it’s that beautiful. Even if you do nothing else but drive along the many famous scenic routes around the city you’re going to have an awesome holiday. Of course, Cape Town has so much more to offer for the adventure traveller, the avid shopper or the beach bum but you really do not need to do anything else if you don’t want to. The city and surrounds have a few famous scenic routes. Chapman’s Peak drive is a long winding route cutting between the mountains and the sea – it is far more beautiful than you can even imagine. A stopover for the famous fish and chips in Hout Bay is a must. A drive to Cape Point is beautiful as well as the famous wine routes around Franschhoek and Stellenbosch. It’s good to note that most attractions have entrance fees to pay for vehicles as well as per person. Booked tours offer the best value for money as the operator’s negotiated rates may be better than individual rates for activities and attractions. Do your research to find out what is the most cost-effective travel option for you and your family. If you go at the right time, this drive is 100km of pure blooming beauty. You can do the route in a day or take a few days to truly enjoy it. There are so many beautiful towns along the way it would be a shame not to stop and explore some of them. August and September are actually the best months to experience this route in full bloom. There are many tour operators that offer an overland trip to the Garden Route. It helps that your tour leader is driving and not you so you can sit back and enjoy the stunning scenery. The Eastern Transvaal’s famous Panorama route is essential if you truly want to enjoy South Africa. Stop at God’s Window, Blyde River Canyon and Bourke Luck potholes for stunning scenery. There are many interesting activities to do in the area as well. You can plan your route to end with a few days at the Kruger National Park. Take a safari tour and try to spot the Big Five at the extensive park. You are sure to spot some of them as well as a wide variety of other wildlife. The guided safari tours in the park are pricey. Some bus tours offer the drive with tour leaders who have years of experience in game drives. A group safari option may be far more affordable than booking your own trip individually. It can also be more comfortable to sit in a bus with padded seats and an air conditioner rather than an open safari vehicle. If you’re looking for a budget safari or holiday outside of South Africa, an adventure tour through East Africa is the best value for money. Travelling along the East African route has so much to offer. Kenya and Tanzania are two of Africa’s most popular safari destinations. Neighbouring countries, Rwanda and Uganda offer lush rainforests and famous gorilla encounters. Further up north, Zanzibar’s pristine beaches rival the best tropical destinations across the world. This is truly an overland adventure of a lifetime (it is not for the faint-hearted though). Tour operators offer wonderful overland trips into Africa that will not compromise on comfort or safety. Watch this short video clip, Tanzania the ultimate budget Safari: https://www.youtube.com/watch?v=lzhKCA8P-8c to get you excited about some of the awesome experiences East Africa has to offer. This road trip is truly epic. You can start in Cape Town and travel along the route to Zambia and the stunning Victoria Falls. This trip is an adventure trip and you should plan to spend at least 10-12 days travelling. From whitewater rafting and canoeing and a visit to the Namib Desert, there is so much to see and do. The fact that you can complete it with a helicopter ride over the majestic Victoria Falls just adds more magic to a perfect holiday. There are guided overland tours that take you through the route, stopping to visit local tribes as well as enjoy beautiful desert sunsets along the way. Watch this short video clip, Cape Town to Victoria Falls where a group of people did the route on a truck: https://www.youtube.com/watch?v=qNsYw-X3pUg. 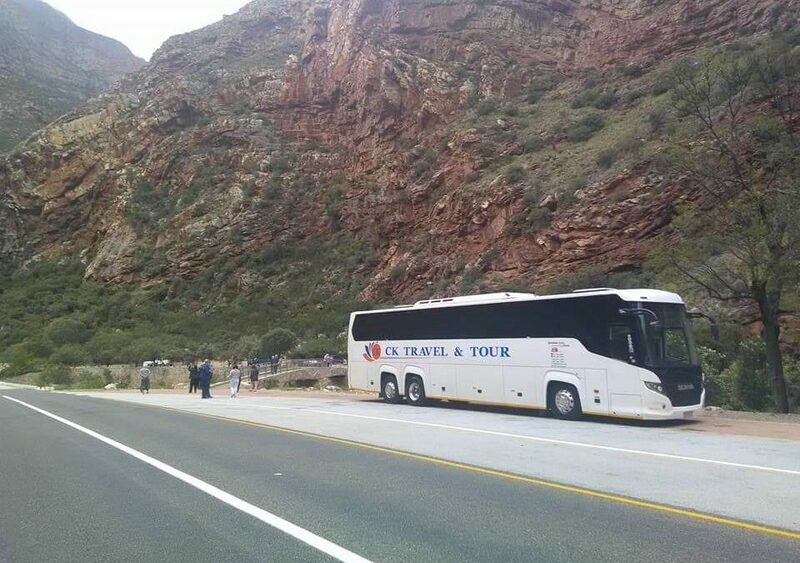 CK Travel and Tour offer overland bus tours to some of South Africa’s most popular routes and destinations. The advantage of choosing to do adventure travel like this with a tour operator is that they have years of experience and know what fellow travellers enjoy. In addition to this, it is usually a more budget-friendly holiday as the costs are being shared by so many people. Accommodation and travelling expenses are much lower when you travel in a group. The biggest drawcard to doing an overland adventure with a tour operator is being able to enjoy the experience without the stress of driving yourself. This makes it easier to enjoy the beautiful countryside and spend quality time with your fellow travellers.